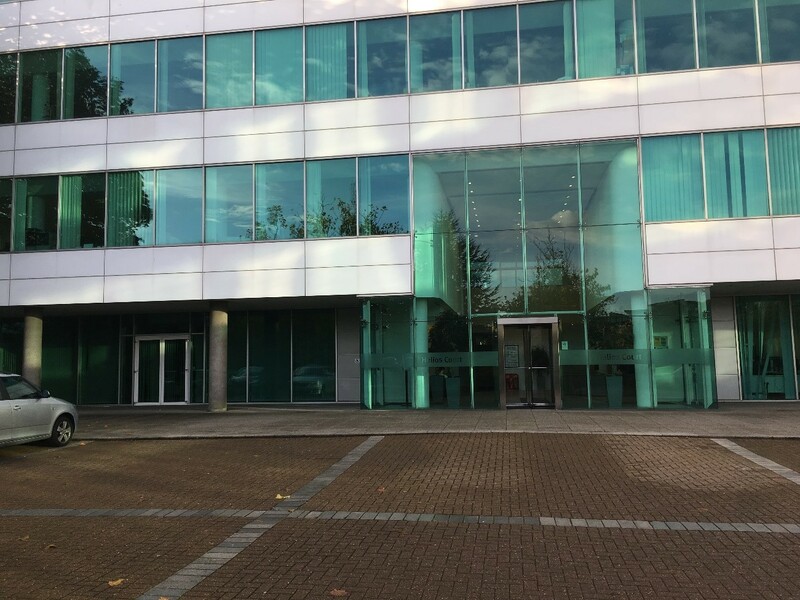 In October 2016, THS Concepts were commissioned by regular clients Thirdway Interiors to undertake a measured survey of a contemporary office building in Hatfield, Hertfordshire. Of a modern, almost Corbusier-inspired design, this multi-use business centre boasted a large airy lobby and four floors of open plan office space. The lower two levels were occupied by online supermarket giants Ocado, while the other two housed an aircraft lease company and a manufacturer of technical instruments. Our role was to produce accurate floor plans for all four storeys inclusive of above-head services such as lighting, ventilation and fire detection systems. The square, organised nature of the building allowed for alignment using gridlines through the column centres, all of which were polished concrete and cylindrical. This made the task at hand relatively simple and ideal for picking up the aforementioned over-head services. The main challenge ultimately came down to operating around working employees, many of whom worked in a customer service call centre for Ocado. 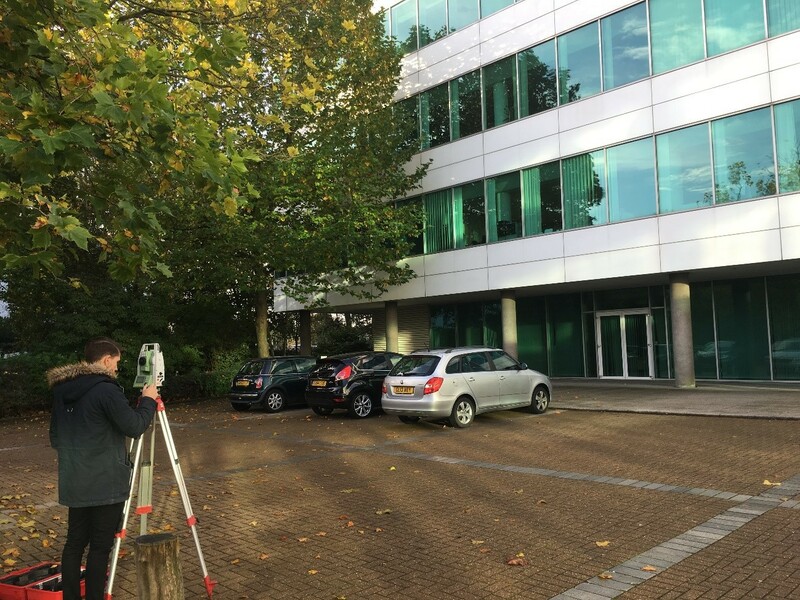 One of the key decisions behind the success of this project was the utilisation of a Total Station to accurately survey the column positions and open-plan double height entrance lobby. This allowed us to ascertain the grid spacing and correctly position the central core with ease and precision. We also conceived an efficient system for determining the location of ceiling services using a drawing key and plotting of the suspended ceiling tiles on the plan drawings. Given the consistent column spacing and the consequent division of tiles, we were able to produce basic plans for a second visit to the building and perform a box-ticking exercise, something which saved a lot of time and vastly increased accuracy! I consider this project particularly unique – it was a relatively contemporary building, used throughout and housing large successful businesses. It also, unlike most measured surveys, worked using a grid and constant column spacing usually hidden from view. Furthermore, it required a number of surveyors using multiple techniques and equipment, demonstrating the benefit of a combined and well-thought-out approach. Like all THS Concepts surveys, the drawings were produced to a high standard of accuracy with a lot of attention to presentation detail, providing our clients with easy to read and eye-pleasing drawings to begin their interior renovation project. Did you enjoy reading about our Measured Survey in Helios Court? Let us know in the comments!